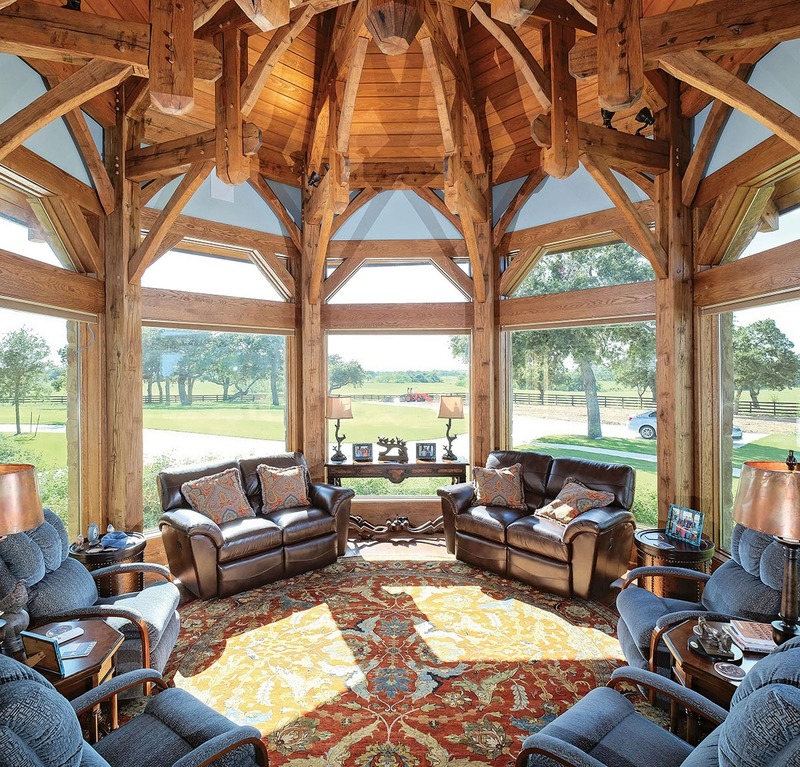 One Texas couple chooses an impressive timber frame for their custom home. 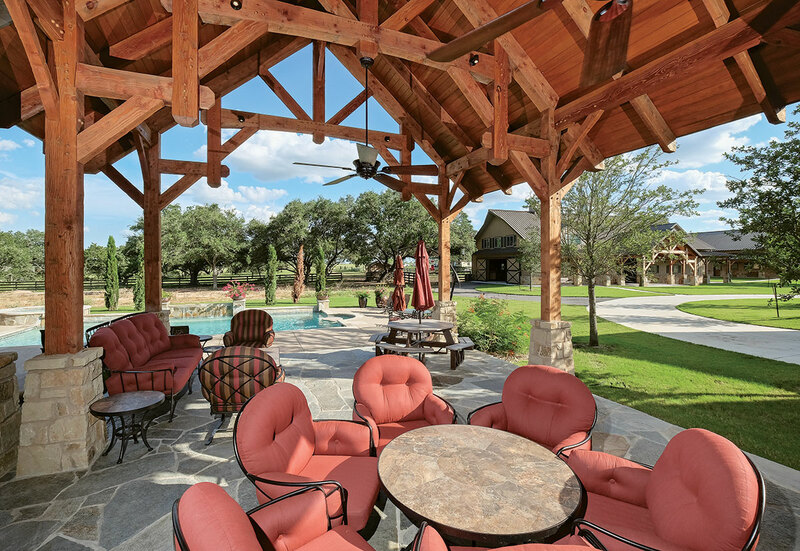 Outdoor areas like the covered pavilion are important for visitors to have varying spaces of the home to enjoy. 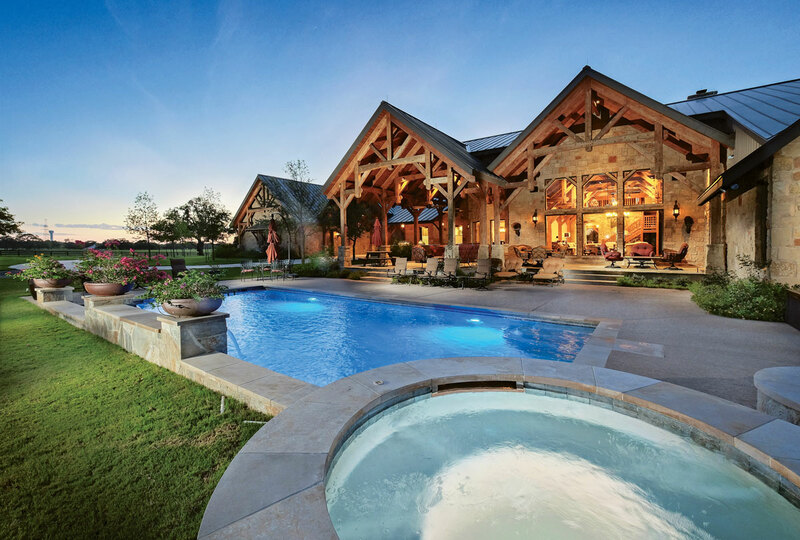 A horse barn located on the property was also customized with timber accents, all by Texas Timber Frames. 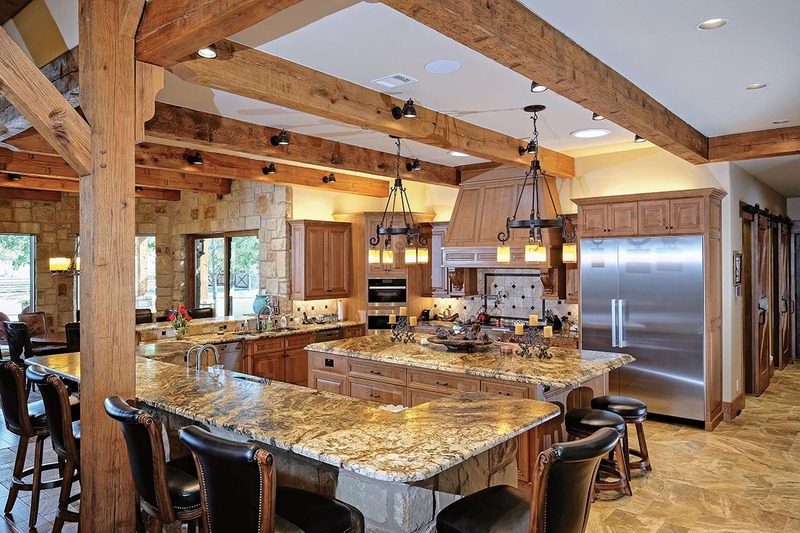 While the interior frame consists of rugged oak timbers, Douglas fir accents were incorporated on the exterior of the house. 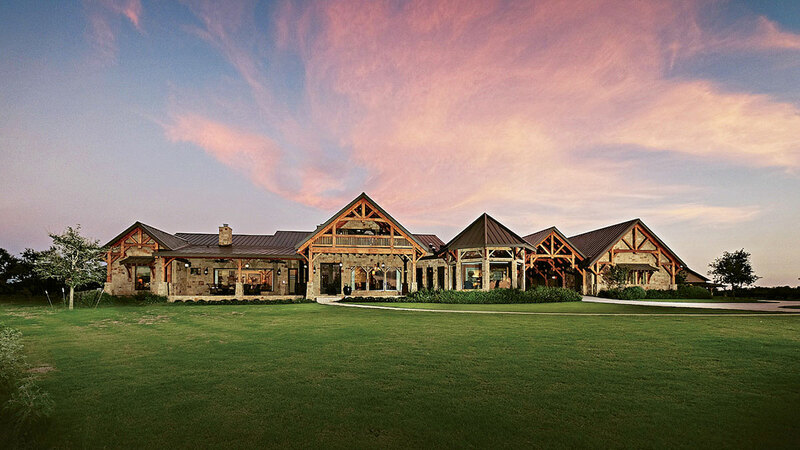 Multiple porches around the home’s perimeter provide plenty of space for outdoor relaxation and entertainment. 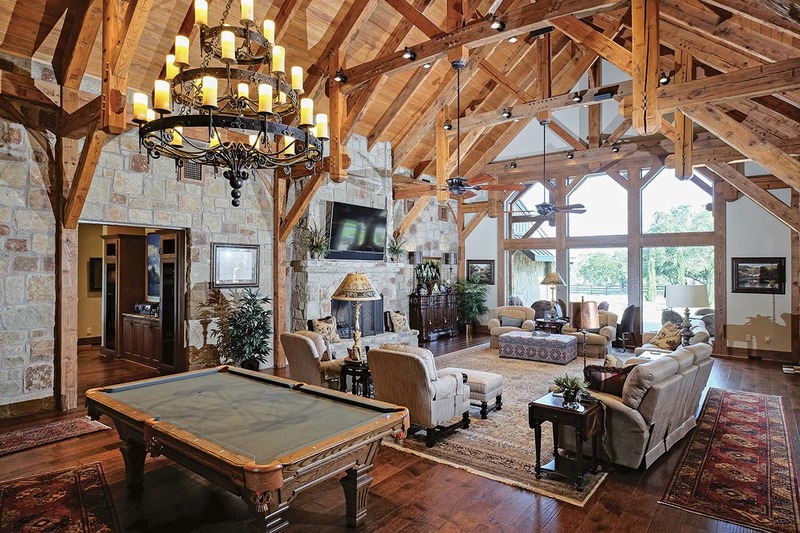 The structural frame covering the back veranda was chosen to protect furniture and electronics, including a TV.